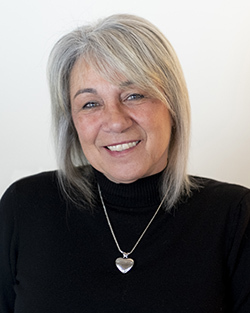 Roxanne Vandermause's research focus is in the area of women's mental health and addictions and community mental health. She uses multi-methods approaches to examine women's recovery, parenting in recovery, adolescent girls in chemical dependency treatment, and disparities in community health. She has completed a Patient-Centered Outcomes Research Institute (PCORI)-funded study on the medication-taking practices of older adults with multiple chronic conditions in Washington State. Her work with PCORI led her to become involved as a co-investigator with Dr. Sheila Grigsby of UMSL in a PCORI-funded community engagement project to development a community partnership to conduct research addressing access to primary care for children and adolescents in the north side of the St. Louis region. She is involved in several other projects, including a NIH-funded project to enhance capacity for mental health research in Cambodia (Robert Paul, PI). “Preserving Self: Empowering Older Persons with Multiple Chronic Medical Conditions”. Engagement Award Initiative-PCORI Pilot Projects. July 2015-October 2015. “Advancing quality and relevance of evidence for patients”. Engagement Award Initiative-PCORI Pilot Projects. March 2015-June 2015. “Relational Health of Adolescents in Chemical Dependency Treatment”. International Nurses Society on Addictions Research Scholar Award. January 2015-December 2015. “A Multi-method Pilot Study Exploring Relational Health of Adolescent Women In In-patient Chemical Dependency Treatment.” Program for Research on Alcohol and Drug Abuse, Washington State University. Completed. “The Mothering Experience: Methamphetamine Users in Therapeutic Drug Court (TDC)”. Washington State University, Program of Excellence in the Addictions. Completed. “Women and Methamphetamine: Portraits of Addiction and Recovery”. American Nurses Foundation. Completed. Sanner-Stiehr, E. and Vandermause, R.K., (2017). Can’t we all just get along? A dual-theory approach to understanding and managing the multigenerational workplace. Journal of Organizational Psychology. Fritz, R. Vandermause, R. (2017). Data collection via in-depth email interviewing: Lessons from the field. Qualitative Health Research. Vandermause, R., Neumiller, J., Gates, B., David, P., Altman, M., Healy, D., Benson, P., Sunwold, D. Burton, G., Tuttle, K., Corbett, C. (2016). Preserving self: Medication-taking practices and preferences of older adults with multiple chronic medical conditions. Journal of Nursing Scholarship, 48:6, 533–542. Katz, J., Vandermause, R., McPherson, S., Barbosa-Lieker, C. (2016). Using an Integrated Model for Mixed Methods Research in The Real Word. Nurse Researcher. Vandermause, R., Barbosa-Leiker, C., and Fritz, R. (2014). Innovations in Research Education: Findings from a Study of Teaching/Learning Research using Multiple Analytical Perspectives. Journal of Nursing Education, 53 (12), pp.673-7. Vandermause, R., Sanner-Stiehr, E., Bertram, J., Fish, A., Manies, S., and Yeung, N. (July, 2018). Working across generations in the technology-driven hospital. Acceleration, Technology, and Healthcare. Institute for Hermeneutic Phenomenology. Buffalo, New York. Vandermause, R. (Feb 11-14, 2018). Workshop delivered to Cambodian graduate students: Qualitative methods in mental health research. Phnom Penh, Cambodia. Vandermause, R., Roberts, M., and Odom-Maryon, T. (October, 2017). Relational health in transitions: Adolescents in chemical dependency treatment. Mobilizing All Nurses to Address Substance Use: the Hidden Faces of Addiction. 41st Annual Educational Conference International Nurses Society on Addictions. Orlando, Florida. Vandermause, R. (August, 2017). What does it mean to be a qualitative researcher today? The Body as We Live It: Phenomenological Approaches to Embodiment and Illness. Institute for Hermeneutic Phenomenology. Denver, Colorado. Vandermause, R., Roberts, M., Armstrong, M., and Odom-Maryon, T. (June 9-12, 2016). Relational Cultural Theory in research with teens in chemical dependency treatment. Transforming Community: The Radical Reality of Relationship. Jean Baker Miller Training Institute; St. Scholastica College of Nursing. Duluth, Minnesota. Vandermause, R., Barg, F., Esmail, L., Edmundson, L., Girard, S., and Perfetti, A. Advancing quality and evidence for patients . Better Bound or Boundless? Qualitative methods Conference. Melbourne, Australia, April 2015. Vandermause, R., Neumiller, J., Gates, B., David, P., Altman, M., Benson, P., Sunwold, D. Burton, G., Tuttle, K., Corbett, C. (June 13-19, 2014). Multi-method qualitative analysis: How post-positivist qualitative data enriched our hermeneutic findings. Contemporary Interpretive Scholarship: The Institute for Hermeneutic Phenomenology. Indiana University, Indianapolis, Indiana. Vandermause, R. (June 11-12, 2012). Hermeneutic phenomenological research. Two-day Workshop given at 6 th Qualitative Research Summer School. Dublin City University, Dublin, Ireland. International reviewer for Doctoral dissertation viva (July 2014). Rita Glover of Dublin City University, Dublin, Ireland. Classroom consultation for doctoral students at University of Wisconsin-Madison (October, 2012) delivered via video technology: Heideggerian hermeneutic phenomenology. School of Education. International reviewer for Doctoral dissertation viva ( February 2010), Daniel Sutton of Auckland University of Technology, Auckland, New Zealand. Washington State College of Nursing Faculty Fellowship in Research Endowed Award for 2014-2015. Research Excellence Award: Top Scientific Poster Category 2013 Donahue Research Awards, David Grant U.S. Air Force Medical Center, Travis Air Force Base, California for doctoral student Nicole Armitage (Armitage, Severtsen, Vandermause, Smart).